Halong Bay (or Ha Long Bay) is a UNESCO World Heritage Site in northern Vietnam and is one of the most iconic destinations in the country. The bay covers approximately 1,500 square kilometers and features hundreds of towering karst pillars that used to be below sea-level. Known as 1 of the “7 new natural wonders of the world”, many people visit for the experience of sailing through limestone isles and the magnificent views. Back in March 2018, we booked a luxury Halong Bay cruise to sail across the open waters. 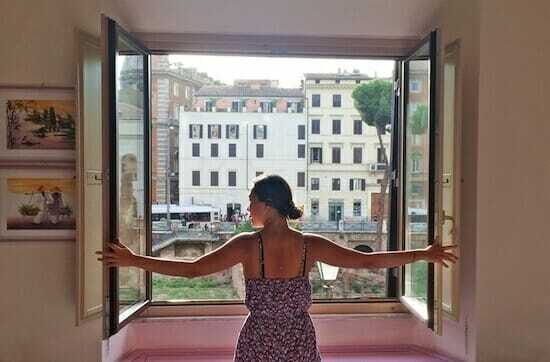 It was by far one of the most magical and relaxing travel experiences of my life, and one that I would wholeheartedly recommend. Here’s the thing – as more and more people flock to Halong Bay, the (already) crowded core area of 400 square kilometers is, quite frankly, suffering from overtourism as dozens upon dozens of large cruise ships narrowly dodge karsts (and each other) day in, day out. 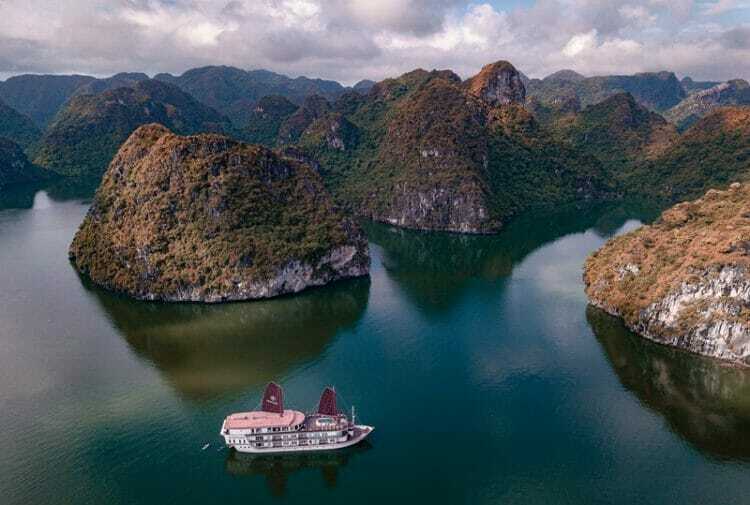 Which brings me to Lan Ha Bay, a little-known hidden gem that is considered to be one of the best Halong Bay alternatives for anyone wanting the peaceful sailing experience minus the crowds. I attended this year’s ASEAN Tourism Forum in Halong City, and I decided to explore the unknown and far quieter Lan Ha Bay, just south of Halong Bay, to see how the two actually compare. 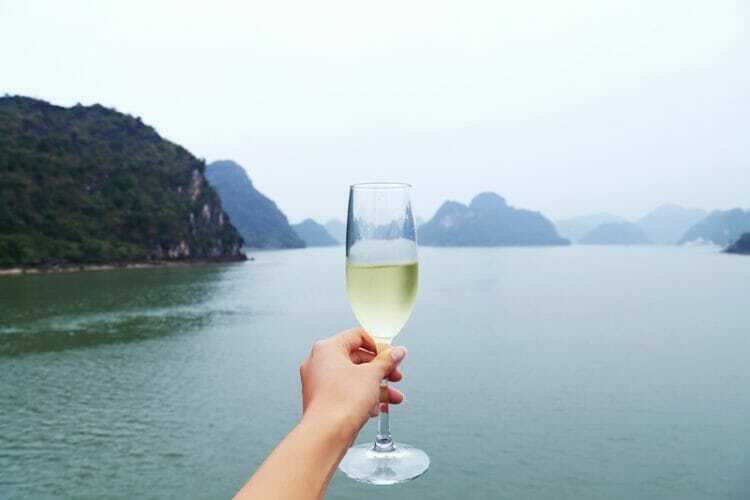 Read on to learn more about this underrated Halong Bay alternative, the best Lan Ha Bay cruise to go on and what the actual differences are between Halong Bay and Lan Ha Bay! You can apply for a 30 day Vietnam e-visa if you hold a passport from one of these 46 countries. The official Vietnam e-visa website is here, and though the design is horrific it works fine. There are many websites purporting to be the “official” visa website and some even have a “.gov.vn” domain, so be careful when you apply for a Vietnam visa online! To get to Lan Ha Bay you should fly into Noi Bai International Airport, located on the outskirts of Hanoi. The currency in Vietnam is the Vietnamese Dong. The exchange rate is approximately US$1 to 23,000 Dong. Cash is king in Vietnam so exchange some money when you arrive at the airport, but you can pay for your cruise and on-board expenses via credit card. Stay connected and buy a local SIM card at the airport. You can get 60 GB of data for just US$6 by pre-purchasing your SIM card here! Don’t expect to have stable Internet access (wifi or 4G/3G) during your time on board. Where is Lan Ha Bay in Vietnam? Lan Ha Bay is located south of Halong Bay, just off the coast of Cat Ba Island. Going on a Lan Ha cruise is a great alternative if you’re looking to break out of the dense tourist area of Halong Bay, and far fewer people are even aware of this destination. I ran a poll on both Instagram and Twitter, and while it is not exactly the most scientific research method (by far), approximately 65% of all respondents said they had never heard of Lan Ha Bay. It has remained under-the-radar and is far smaller in size compared to Halong Bay proper, but Lan Ha Bay offers a similar experience and view with slightly different excursions. If you are thinking about visiting Halong Bay, why not consider taking the road less traveled and exploring Lan Ha Bay instead. 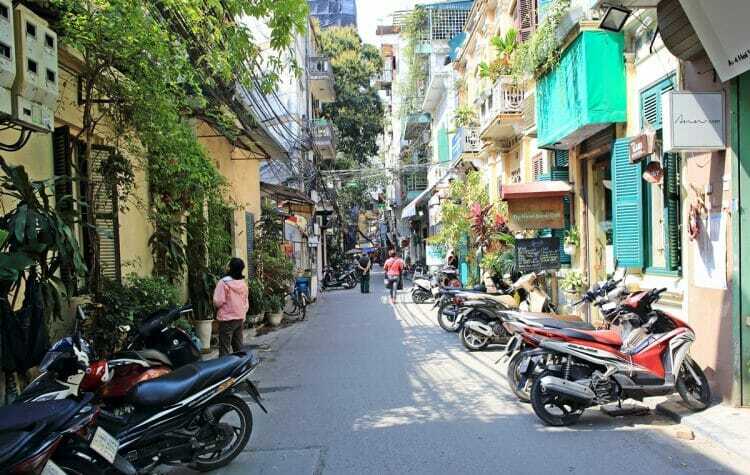 Visiting Hanoi before or after Lan Ha Bay? 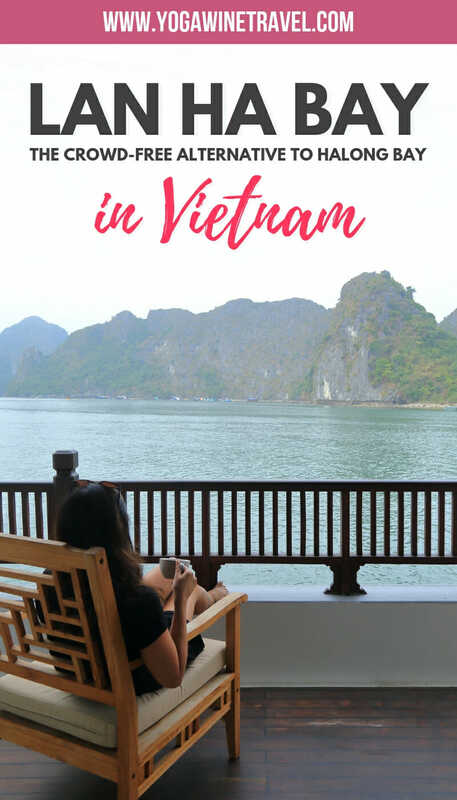 Click here for my quick guide to what to see and where to eat in Hanoi! There are not many Lan Ha Bay tours (for now), and Heritage Line’s Ginger boat is the first of its kind to offer overnight cruises in this bay. 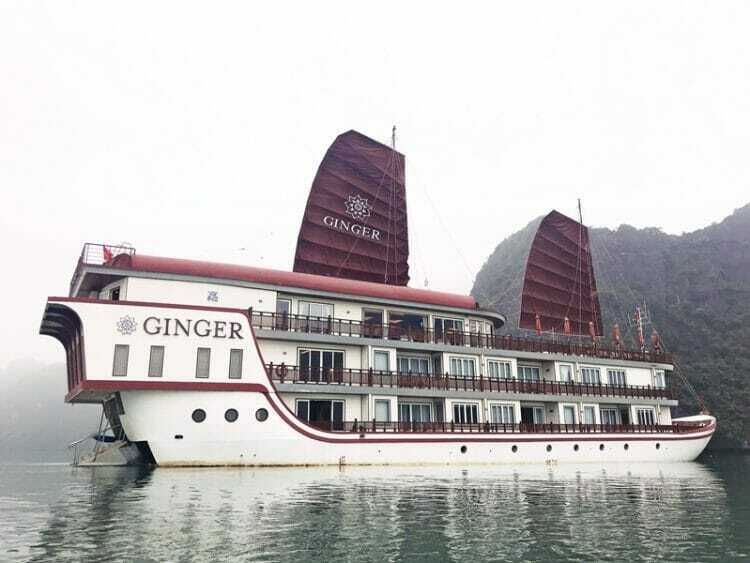 Ginger embarked on its maiden voyage in June 2018 and currently runs 2 day 1 night “Hidden Worlds” cruises in Lan Ha Bay. The iconic red-sail luxury junk winds and weaves its way through the tranquil Lan Ha Bay and features 12 spacious cabins with private balconies, elegant furnishing and a team of experienced staff and chefs to wine and dine you. The 12 rooms aboard the Ginger ship range from 37-50 square metres (i.e. 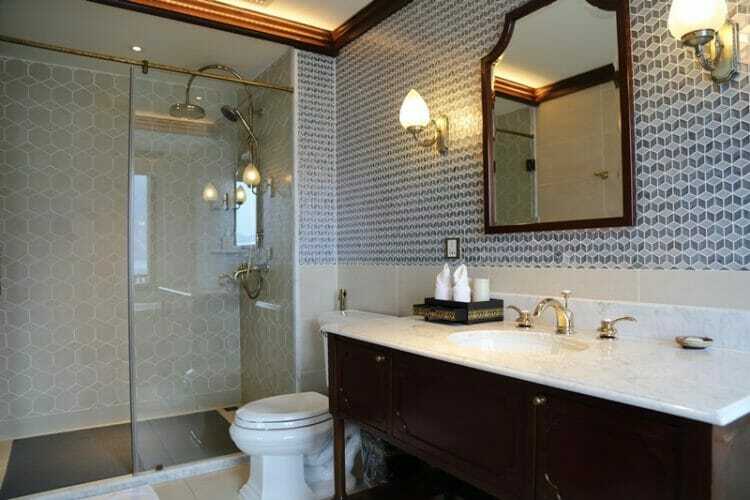 absolutely massive) with private balconies, and the bathrooms feature a large walk-in shower as well as a bathtub if you really want to spoil yourself! The decor is understated, mainly using earthy and muted tones, and the room also offers the usual amenities including a small sofa, desk, wardrobe, safe, hairdryer, kettle and so on. It’s important to note that most other cruise ships in Halong Bay/Lan Ha Bay don’t offer private terraces unless you pay extra. The Ginger has a small capacity compared to most other cruises with room for only 24 passengers, which means that you are given an exclusive and extremely intimate sailing experience. Unlike cruise ships in Halong Bay, you are not joined by “day cruise passengers” who are transported to the boat in the morning, and leave in the early evening. Ginger also offers an on-board spa, restaurant with an open kitchen so that you can watch the chefs work their magic, and massive outdoor terrace with a jacuzzi. If you’re desperate for wi-fi, Ginger offers an Internet connection in the restaurant and deck, but not in the rooms. One of the key themes of the “Hidden Worlds” cruise is gastronomy, and the open kitchen is a unique feature of the Ginger boat. 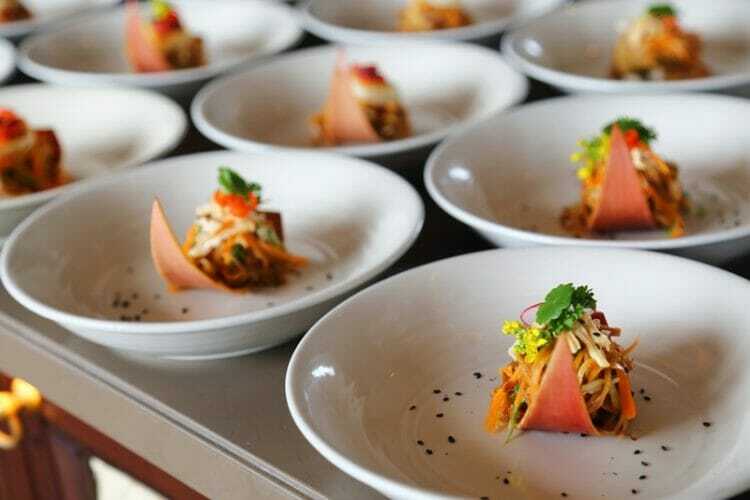 The food is out-of-this-world, and the daily menus are plentiful with options for vegetarians and pescatarians. The staff are also more than happy to accommodate any other dietary and allergic food restrictions, and specially prepared all of my meals without mushroom. 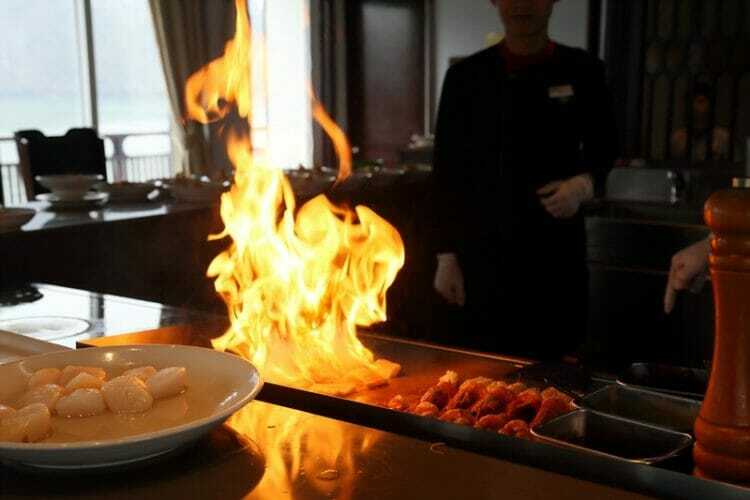 Make sure you watch the chefs flambé the seafood! The 2 day 1 night “Hidden Worlds” cruise boards in Haiphong at GOT pier, about 25 Kilometres from Halong City. It takes approximately 2-3 hours to get to GOT pier from Hanoi, and Heritage Line can organize a shuttle transfer on your behalf. To get to the boat, you will need to hop on a small speedboat for 10-15 minutes. Ginger departs around 12:30 PM and sails towards Cat Ba Island, the largest island in the bay. As you eat lunch in the restaurant, take in the panoramic view of the surrounding limestone karsts and aquamarine waters. The first excursion starts at approximately 3:30 PM at Viet Hai village on Cat Ba Island. Home to about 400 people, most of which are fishermen and farmers, Viet Hai has only had electricity for 10 years and is a prime example of traditional village life in Vietnam. 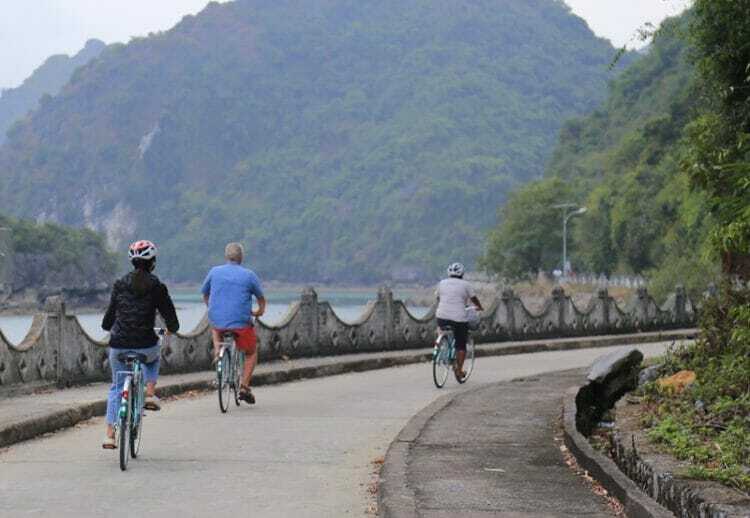 You can hop on an electric shuttle or bicycle to get from the pier to the village, where you are guided through the village’s cemetery, communal garden and a visit to a local family to learn how rice wine is made. 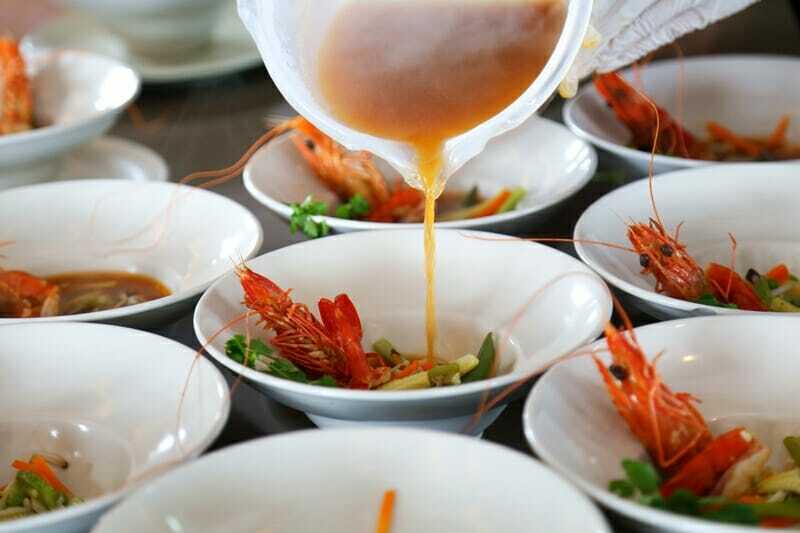 Back on board, join the interactive cooking class to learn how to make traditional Vietnamese cuisine, before digging into a hearty and delicious three-course dinner. Vietnamese coffee and tea are free, but alcohol costs extra. 1 glass of house wine is about US$7, beer is priced at US$3-4 and cocktails range between US$7-8. 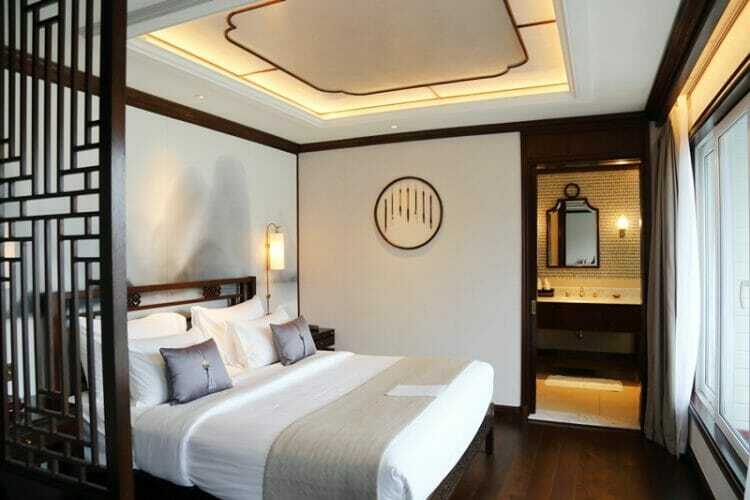 Ginger quietly cruises back to Halong Bay to moor overnight, and you can enjoy a peaceful night’s rest in the queen-sized bed. In the morning, join the 20-minute 6 AM tai chi lesson on the outdoor deck or skip it for a sleep in. At around 8 AM, there’s another optional kayaking excursion where you can work off some of the food you had the night before and get a little closer to the dreamy landscape. Once you return on board, brunch is served before disembarking at 10:30 AM. 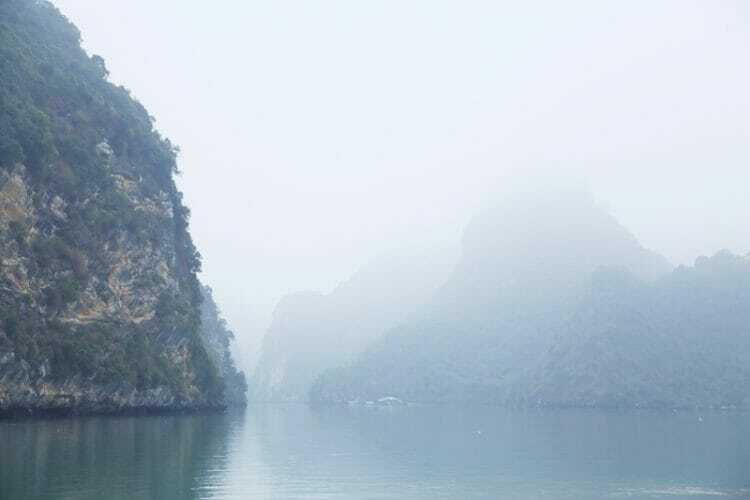 Lan Ha Bay was outrageously serene – it truly feels like you are one of the only people in the entire bay as there are far fewer boats than in Halong Bay. During the summer months, you can explore one of the many secluded beaches and coves. 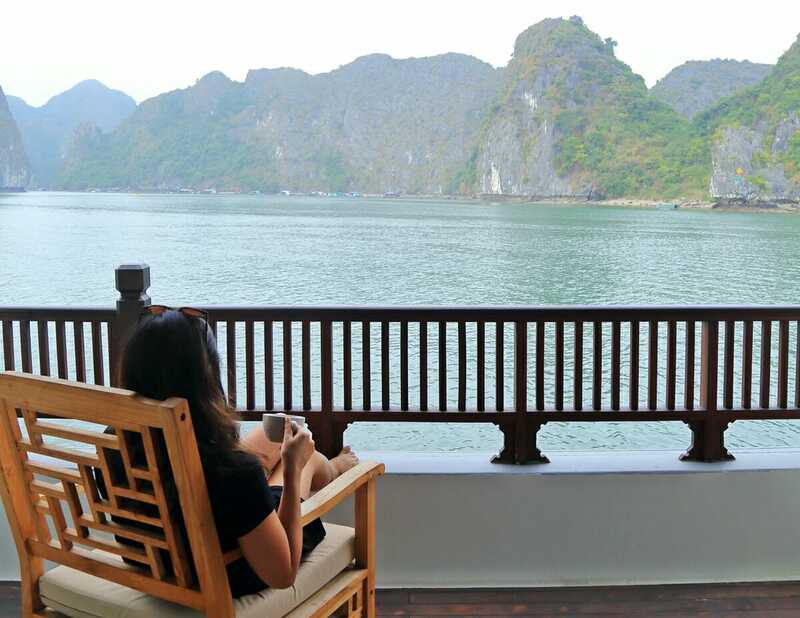 It is much quieter and offers a more relaxing atmosphere than Halong – the only thing I would have liked was to have spent more time on the boat to enjoy the room, private balcony and outdoor deck, and to experience a treatment at the spa. For those wanting to spend more time in Lan Ha Bay, Heritage Line is actually launching a 3 day 2 night cruise in August 2019 on a new ship, the Ylang, and the itinerary will be similar with the option to take part in a hike on Cat Ba Island on day 2. Instead of mooring in Halong Bay, the Ylang will moor overnight in Lan Ha Bay. The “Hidden Worlds” Ginger 2 day 1 night cruise departs daily except for between April 23rd-25th and September 1st to 15th 2019. In 2020, Ginger will not sail between July 15th and August 11th. 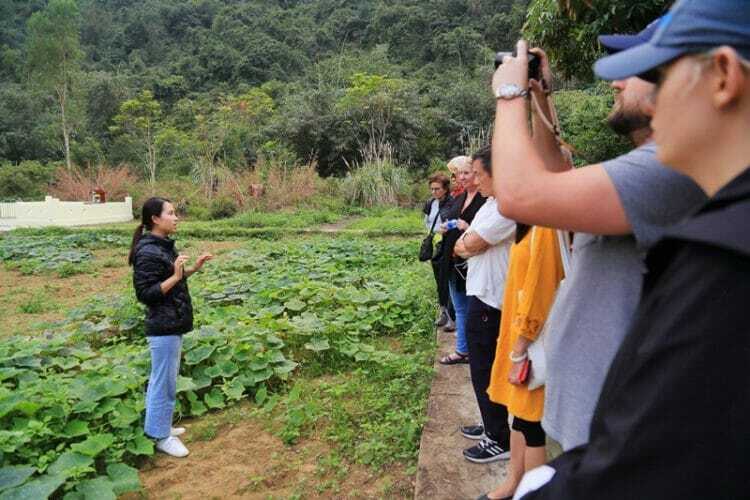 The “Senses of Lan Ha” Ylang 3 day 2 night cruise departs on specific dates (click here for the sailing dates) and sails throughout the second half of 2019. In 2020, Ylang will not sail between August 12th and September 1st. The rates are available here. 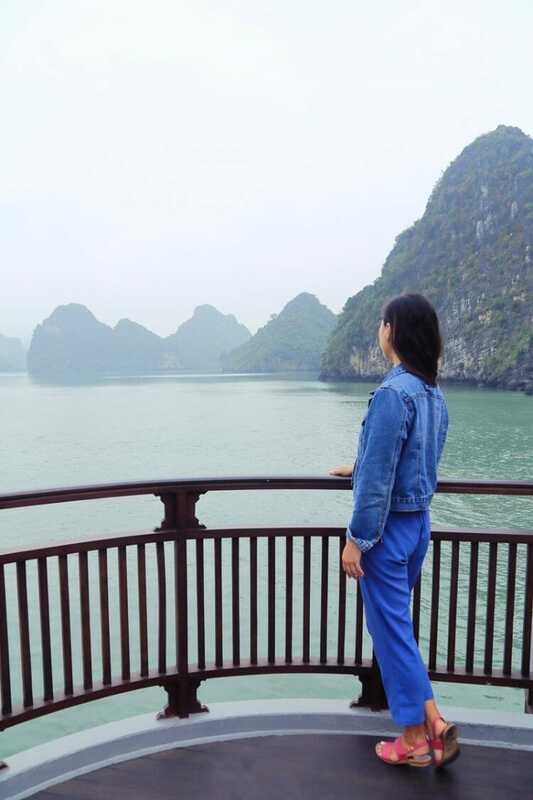 The Halong Bay and Lan Ha peak season runs from about October to April when the temperature is around 23-26 degrees Celsius and the nights are slightly cooler. Though the weather is much warmer during the summer months, there can be occasional monsoons and showers. I first visited Halong Bay in March 2018 and the days were warm but the mornings and evenings were very cool. I sailed through Lan Ha Bay in January and needed a coat to stay warm as the temperature was between 16-22 degrees Celsius. So, when is the “real” best time of year to visit Lan Ha Bay? It depends – to enjoy sunny weather with cooler evenings, go in October or March/April. 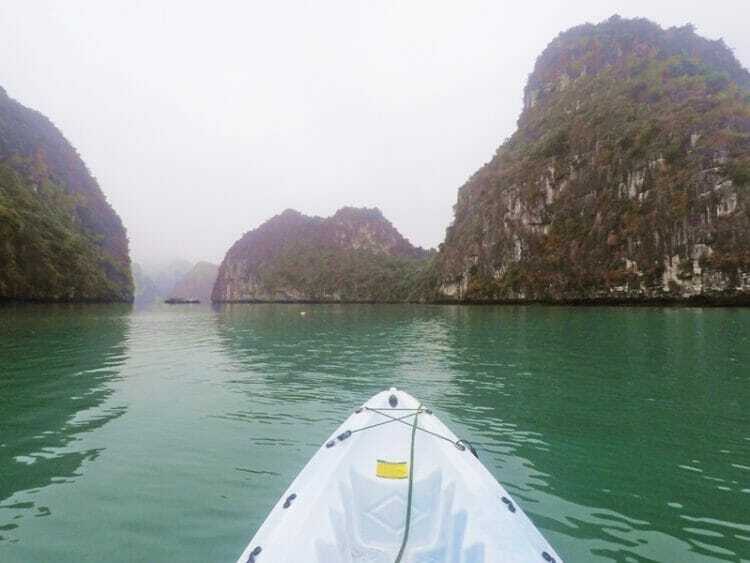 If your heart is set on swimming in the open waters of Halong but you are willing to risk some humid and rainy days, visit during May to September. 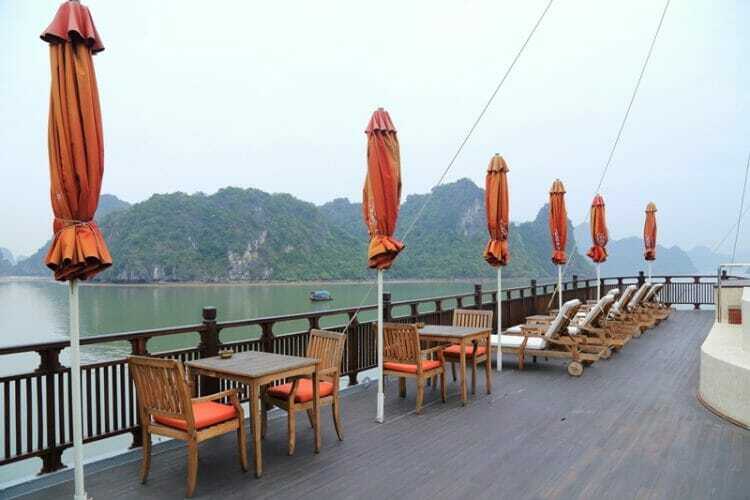 Ha Long Bay or Lan Ha Bay? 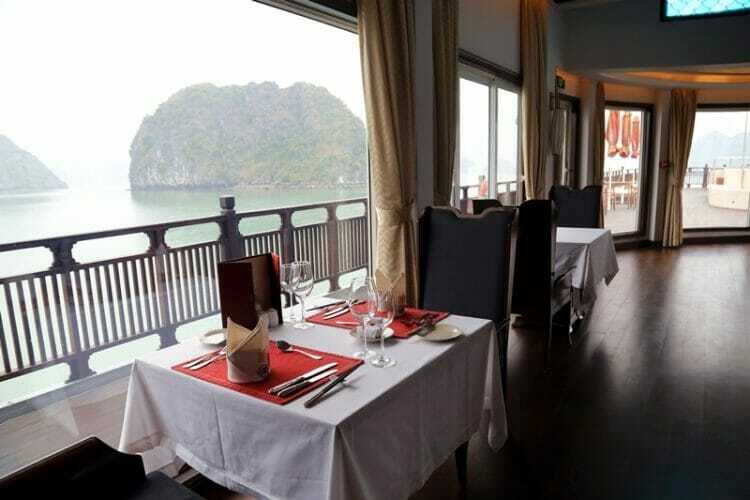 Here’s the thing – there’s nothing inherently wrong with Ha Long Bay. As someone who has visited both Halong Bay and Lan Ha Bay, if you were to ask me, “is Halong Bay worth it?” I would have to say yes – it is a breathtakingly beautiful destination and I loved our time there last year. However, we were there towards the end of peak season and there were still so many boats and people. 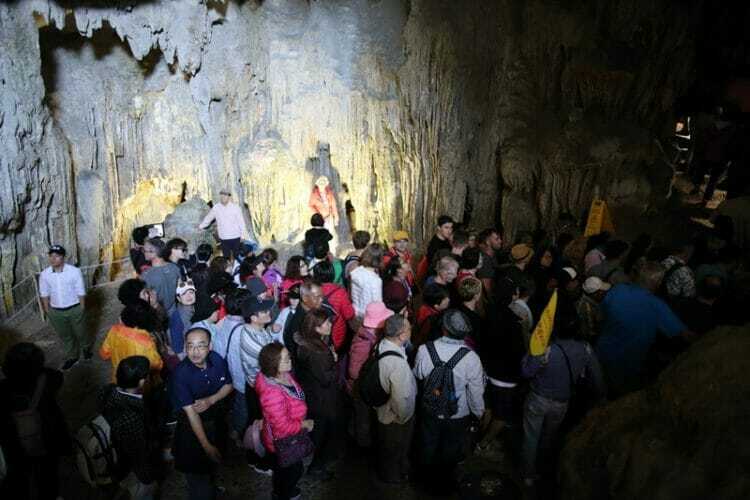 Just look at the number of people in Sung Sot Cave (part of the Halong Bay cruise itinerary). I can only imagine how crowded it gets during the peak season. 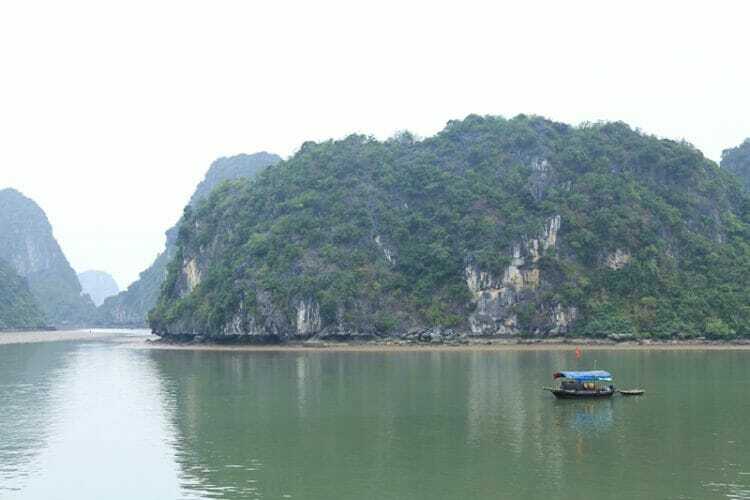 Lan Ha Bay is far quieter and offers the same karst formations that Halong Bay is famous for. 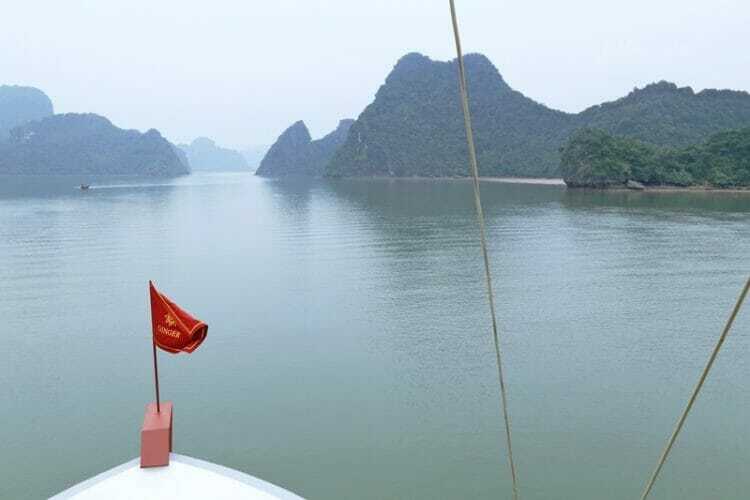 As an alternative to Halong Bay, Lan Ha Bay is a fantastic option for a peaceful cruise without having to hear pumping music from other party boats. However, you won’t get to visit some of the landmarks in Halong Bay such as the Ti Top Island viewpoint, Sung Sot Cave or floating village. 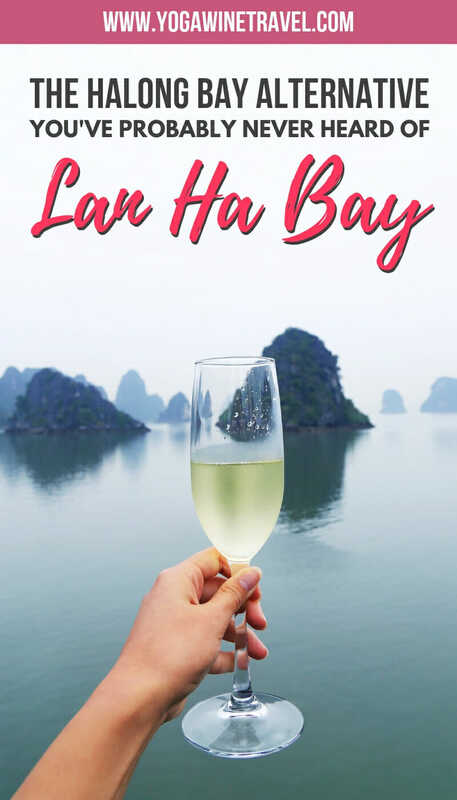 If you are deciding between Lan Ha Bay or Halong Bay, here’s what you need to know: Lan Ha Bay is the perfect off-the-beaten-track Halong Bay alternative if you just want to take in the natural landscape and unwind, and aren’t too fussed about excursions. 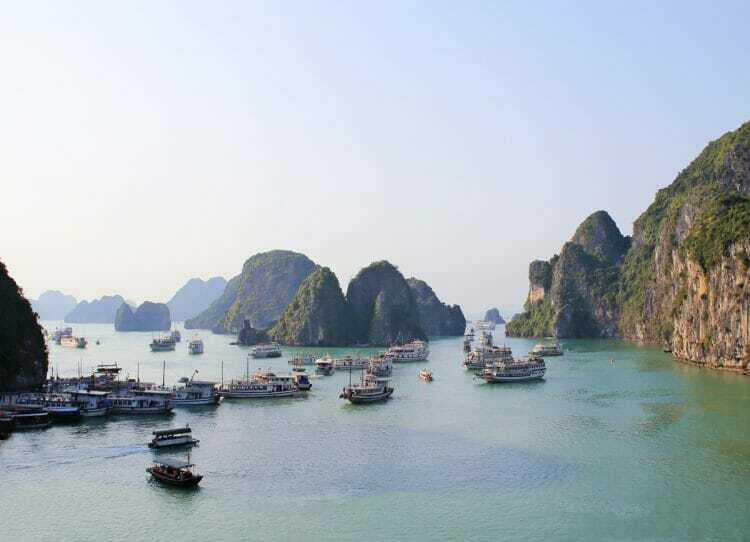 If you’re looking for a more active cruise experience and don’t want to miss the viewpoint, caves and floating village, then perhaps stick to Halong Bay – just be aware that it is extremely crowded and no where near as tranquil or peaceful as Lan Ha Bay. Bring a light jacket for the mornings and evenings, walking shoes for the excursions, swimwear if you’re visiting during the warmer months and dramamine if you’re very prone to motion sickness. Because the boat is so big and sturdy, you don’t actually feel too much movement. Each room has several plug outlets, so bring along your devices and charging cables. I used my 24-105 mm lens and Canon 6D DSLR for the majority of my shots, but also took plenty of photos with my iPhone 7 Plus. Click here for some handy tips on how to level up your smartphone photography and head on over here to see some of my favorite photo editing programs. Have you heard of Lan Ha Bay in Vietnam before? I highly recommend checking it out as a crowd-free alternative to Halong Bay! Ready to plan an amazing trip to Lan Ha Bay in Vietnam? Click here to send an enquiry to Heritage Line to check availability and rates for Ginger, or head on over here for even more Vietnam travel tips and guides! I was hosted by Heritage Line aboard the Ginger. However, no compensation was received for this review, and as always, the opinions on Yogawinetravel.com are (and always will be) my own! I only recommend products, services and hotels that I have had positive personal experiences with. Thank you for taking the time to read this guide! Let me know what you think once you make it there!